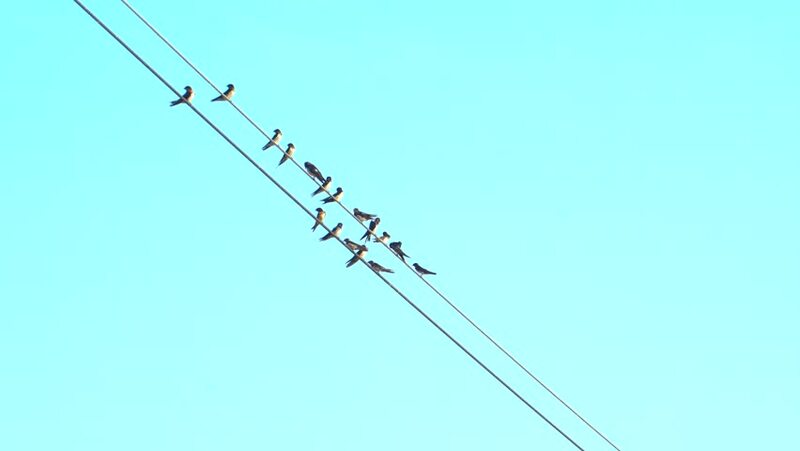 Some birds over wire with clear blue sky in background, Fly away at the end. 4k00:14BELLEVILLE, MI, USA – AUGUST 2014: Jet Waco, a jet-powered biplane sponsored by Jack Links, performs high speed aerobatics at an air show. Recorded in 4K, ultra high definition.